Credit scores — they’re like report cards for grown-ups. It’s a three-digit “grade” you get on a scale that ranges from 300 to 850. Your score indicates your creditworthiness to potential lenders, banks, landlords, insurance companies, and even to some employers, for instance. I’m sure you know that the higher your score the better. You can get your credit report from each of the three major reporting agencies — Equifax, Experian, and TransUnion — for free once a year at annualcreditreport.com. But credit reports don’t include your actual credit score — you usually have to pay for those. However, I recently joined Credit Karma, at creditkarma.com, where you can actually get it for free! 300-580: You’ll be denied credit or will only be approved for the very highest, most costly interest rates. 581-650: You may qualify for credit at high interest rates. 651-710: You’ll qualify for credit at moderate interest rates. 711-750: You’ll qualify for credit at competitive interest rates. 751 and up: You’ll get the most competitive, lowest interest rates on the market. Someone with a credit score of 550 might be charged an interest rate that’s three to four percentage points higher than someone who scores over 750. That could translate into paying several thousand more dollars in interest for a $20,000 car loan or over a hundred thousand extra bucks in interest over the life of a 30-year $200,000 mortgage! That’s money you could invest for your retirement instead. As long as you don’t have serious black marks on your report, like a bankruptcy or foreclosure, you can increase your score in as little as a month or two. Tip #1: Review your credit report from each of the three major reporting agencies closely. Then immediately clear up any errors, such as incorrect credit limits, late payments, or collection items that aren’t yours. Errors do show up on credit reports. As I mentioned, you can get your credit reports for free from each of the three credit agencies once a year at annualcreditreport.com—and you’re never penalized for checking out your own credit report or score. Tip #2: Always pay your bills on time. Delinquencies have the biggest negative effect on your credit score. If you simply forget to pay your bills on time or are guilty of being chronically unorganized, what are you thinking? I know a better way! Consider setting your bills up for automatic withdrawal from your checking account. If you have overdue bills, make plans to get them caught up. Did you know that having an account go to a collections agency is a blemish on your credit report that stays there for up to seven years? Tip #3: Pay down your credit card balances. Reducing your overall debt that’s on your credit report is a very effective way to jack up your credit score. But if you don’t have the funds to do that, consider taking a loan from a family member or friend. That doesn’t reduce what you owe, but it does move debt off your credit report and give your credit score a quick boost. Tip #4: Don’t close unused credit cards accounts. Canceling a card can actually lower your score. For more info about how that happens, read one of my previous posts. A better strategy is to occasionally use your older credit cards so the issuer doesn’t stop reporting your information to the credit bureaus. Having a long credit history helps increase your score—so remember that hanging on to older cards is a good idea. Tip #5: Never max out your credit cards. A good rule of thumb is to keep your balances below 30% of your credit limit—even if you pay them off in full each month. For example if you have a card with a $3,000 credit limit, don’t rack up a balance that exceeds $900. It’s better to have two cards with balances that are each below 30% of your limit, than to have one card that you consistently max out. Tip #6: Do your loan shopping quickly. Since your credit score gets pulled when you shop for a loan, submit applications to potential lenders within a two-week period. 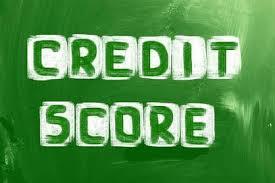 Having lots of credit inquiries can decrease your score. But the system won’t treat a cluster of credit inquires (for a car or home loan, for example) within a short time period unfavorably. Tip #7: Get a secured credit card. If you have no credit history or a low credit score, a secured card can help you build credit if it reports information to the credit bureaus. You have to dish out an upfront security deposit of at least a couple hundred dollars, which the card issuer holds as collateral. Some secured cards will extend you credit after you show responsible use for a minimum of six months. Check out the Public Savings Bank Visa, which is a secured credit card that offers 0% interest on purchases for 6 months with no annual fees. It reports payment history to each of the three credit agencies. Tip #8: Get a gas store card. Even though you may want to buy more than gas, beer, and snacks on credit, those types of cards can be easier to get than regular credit cards. And if you’re trying to establish a credit history, making small monthly charges that you pay off in full and on time each month will work wonders for boosting your credit score quickly.